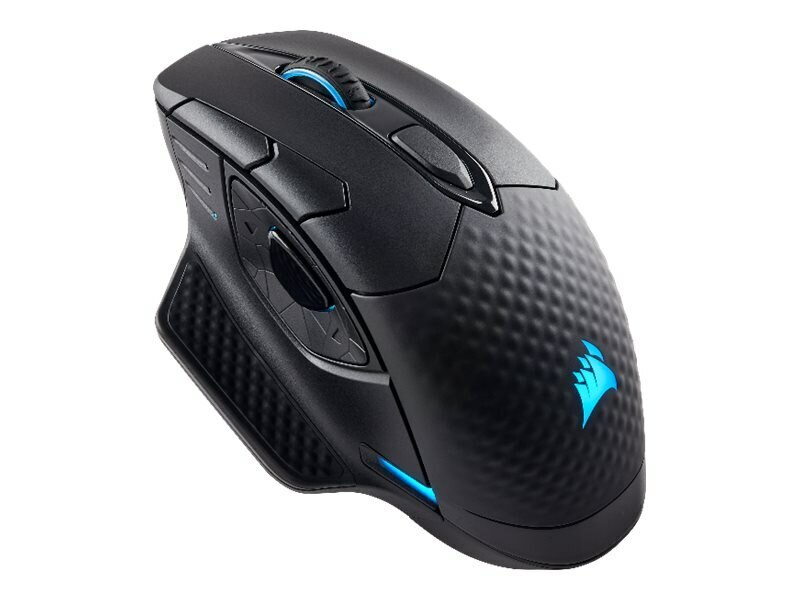 The Corsair DARK CORE RGB SE gaming mouse lets you choose between ultrafast 1 ms wireless, Bluetooth compatibility or wired mode for performance gaming with versatile connectivity. Long hours of battery life and Qi wireless charging lets you stay powered without ever needing a cable and a high-accuracy 16000 dpi optical sensor, customizable in 1 dpi steps, can be tuned to virtually any mouse pad. A comfort-contoured shape and 2 interchangeable side grips ensures precision and control.